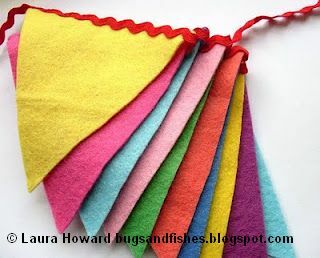 It's deliciously sunny today... perfect weather for blogging about a rather summery project: felt bunting. You just can't beat bunting for instant English cheerfulness - perfect for parties, or for adding a fun bit of extra colour to your everyday decor. 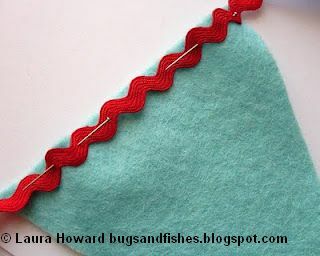 The felt bunting is obviously not as long lasting or hard wearing as the lovely fabric designs that are really popular at the moment, but it's great for hanging along a wall, doorway, window or mantelpiece indoors and it's super-easy and quick to make. Plus general sewing supplies - a needle, pins, scissors, etc. 1. 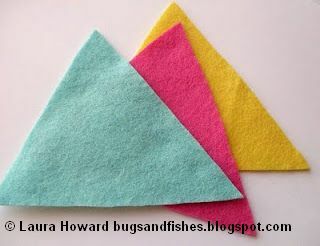 Using your template, pins and scissors cut out lots of felt triangles - I chose bright shades, and deliberately avoided using red so the red ric rac would stand out clearly on each one. 2. 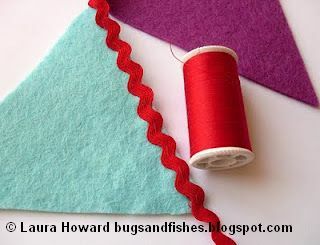 One by one, pin the triangles onto your ric rac and sew them together with a simple line of sitches. 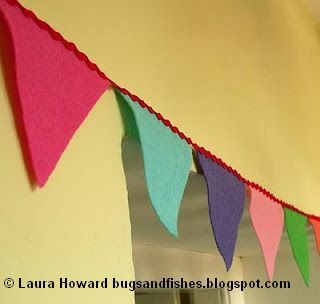 I left a very small gap between the triangles, leave bigger gaps to make longer bunting. Make sure you leave an "empty" length of ric rac at each end of your triangles, to serve as ties (or sew the ends into loops if you prefer). 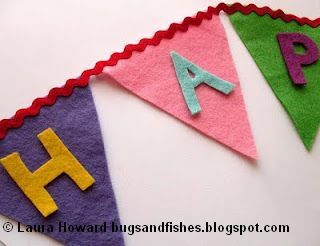 ... but if you're making the bunting for a special occasion (eg a birthday party), you can add some felt letters to make a fun banner. Cut out the letters you need (you may want to draw these on paper first to get the shapes right), taking care to use contrasting colours to the triangles the letters will appear on so they'll all stand out clearly. Double click the template below to to view it full size and print out. If you print at 100% your triangles will be the same as mine (and the right size for using with my 60 mini squares packs) - just change the % to make it smaller or larger. Please feel free to borrow photos if you want to blog about this project, but remember to credit me and link back to the original source, and do not reproduce my entire tutorial on your site. Thanks! I love the idea of felt though! 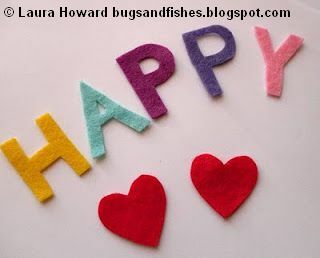 your blog is the most beautiful thing that I already saw.. thank you for giving clues of how to do such beautiful things that they cheer the heart and they fill the color life. Perfect timing for me, I'm about to start on some halloween inspired bunting! Never thought of using ric-rac, I like the effect. I made some for my bunting obsessed wedding to wear! It looks lovely with the ric rac. 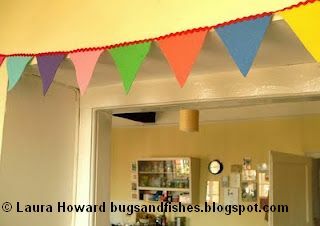 I like those bunting :) My daughters already hade their birthdays but next year I will make bunting for them. I use felt a lot and I like work with it. 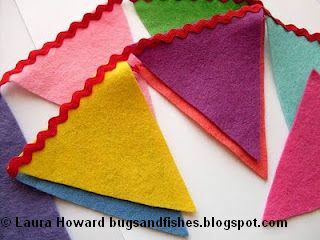 must must must make some bunting - I feel quite sure my fairs would be successful if only I had bunting! I just found your tutorial. I love felt and rick rack so this is perfect. Thanks so much for sharing how to make it! 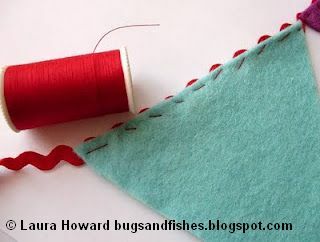 Just found this how-to, it is lovely!! 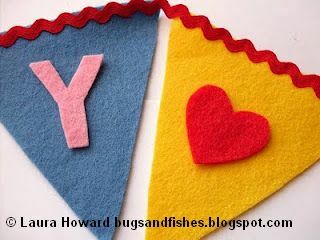 I am creating a post on bunting and I will add a link to your blog...hope that is okay!! 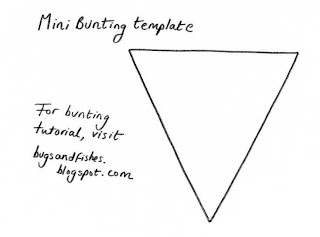 Thank you for this quick solution to making bunting! I wanted to make one for display with my name on it for a show I'm doing and this will be perfect.